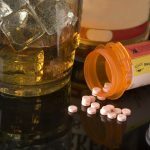 Countless factors have to be taken into consideration before deciding upon a drug and alcohol rehab program. Because there is so much that has to be considered before you can opt for the right treatment, sometimes location does not seem quite as important for some patients. However, the decision between staying close to home and leaving the state to seek help is another important step in making sure that the addiction therapy offered is the right fit for the patient. Sometimes choosing to go out of state drug and alcohol rehab is the right choice. However, others believe that staying close to home is the best and most feasible option. Meanwhile, some patients realize that until they distance themselves from their current environment, they cannot start fresh and focus on getting better. We will walk you through some of the important considerations. Let’s begin with some of the benefits of leaving your state to seek help. Some patients have found that it is counterproductive to seek an in-state drug rehabilitation program. That has nothing to do with the quality of the program, but rather with the notion that they would still be in close proximity to the same places that they associate with drug use. Perhaps poor relationships with friends or family serve as a trigger to the use of illicit substances. Sometimes the best possible thing that a long-term drug abuser can do is remove him/her -self from the situation as much as they possibly can. 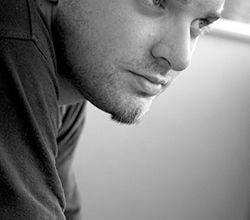 For many people, seeking drug rehabilitation is a very personal matter. If a parent has a role in their child’s PTO, volunteers their time within the community, or has a good career, there is no denying that they want to keep their dependence issue as quiet as possible. Sometimes deciding upon a local facility may open up a person to additional scrutiny. That is one of the reasons that some people prefer to go out of state, just to ensure that they are unlikely to run into someone that may know them. When the patient has this sense of privacy, it is one less thing to worry about instead of being concerned about medical personnel, staff and others learning more about their unique, but personal situation. Research has shown that patients move through rehabilitation better if they do not feel burdened or distracted by outside influences. Removing the concern about privacy may therefore provide valuable benefits. Even though many people forget about this aspect, entering into a drug and alcohol rehab facility is voluntary unless it is court mandated. If the person wants to leave, they can check themselves out and walk out through the front door. It is much easier to leave treatment while enrolled at a local facility. A friend could provide quick transportation and before you know it, the person returns to the exact same toxic environment as before. Even though it is not unthinkable, a person may think twice if it means that they have no immediate way to get home. That added barrier may be enough to keep a person enrolled when it becomes uncomfortable or hard to continue. The scenario is not incomprehensible; certain apprehensive patients do not embrace their recovery program early on and realize that they have options to leave. You have to remember that sometimes, the initial apprehension and discomfort from being removed from their element can be enough to cause someone to leave early if the opportunity presents itself. When seeking drug and alcohol rehab, it is important to focus on the person struggling with the problem. There are outside contributing factors, but the first and foremost factor is to get to the underlying cause of use. Even though it may seem normal to want your loved ones close to you, sometimes patients focus more on their loved ones than their own recovery. When attending an out-of-state facility, the patient has no other option but to stop worrying about what is going on at home and just focus on getting better. Oftentimes it is not until that moment that the final walls go down and the person can focus exclusively on getting better. Just as there are countless reasons that a patient may decide to use out-of-state recovery, there are also reasons that they may opt to stay nearby. Insurance – Sometimes an insurance company is only going to pay for a limited number of available options. If you have to decide between paying the majority of the costs out of pocket and having your insurance company pay for it, the choice is easy for most people. However, it is a common misconception that your insurance company will only pay in-state treatment. You only have to call and ask to make sure. Integrating your loved ones – It may be a great idea to integrate your family or loved ones in the later stages of recovery. Even though Skype and other video conferencing options make it easier than ever before, there is nothing quite like seeing family in person. 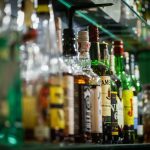 Even though there are potential benefits to both drug and alcohol rehab options, it is impossible to know which one would be the right option for you until someone takes the time to sit down and discuss your personal preferences. Some people will do much better staying close to home for a number of different reasons. Meanwhile, others will have a much better chance at success if they leave their current environment and seek treatment far away. Weigh the options you have available and decide between privacy, comfort, cost and other factors. If you want to know more about the possible choices that are available, we would welcome the opportunity to talk with you in detail about your possible options and help in any way we can.